THROUGH SEPT. 15: “ILHABELA.” A solo exhibition with artist Madeline Marak. Lake St. Gallery, 413 Lake St., Shreveport. Visit www.theagoraborealis.com. 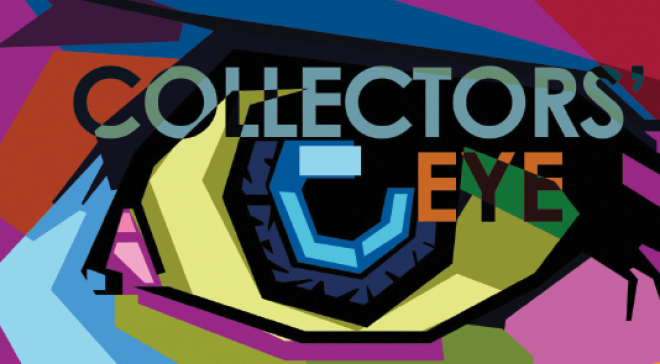 SEPT. 13: CRITICS & COLLECTORS PANEL. Robert Pincus to give a presentation and resume and artist's statement and work sample review. Free, but must register. 5:30-7:30 p.m. Artspace, 708 Texas St., Shreveport. Visit www.artspaceshreveport.com. 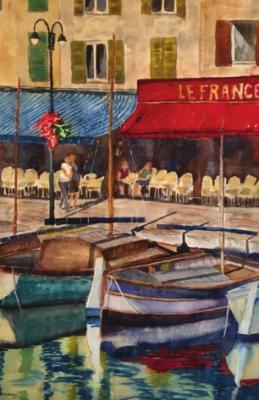 SEPT. 16-OCT. 19: HOOVER WATERCOLOR SOCIETY. The annual juried show will be on display with an artists’ reception and awards presentation from 2-4 p.m., Sept. 16. Louisiana State Exhibit Museum, 3015 Greenwood Road, Shreveport. Visit www.laexhibitmuseum.org. THROUGH SEPT. 31: THE LIBERTY COLLECTION. Artist Drék Davis uses color that highlights both the real and imagined world that we live in with the duality and dichotomy that is Americanness. Bossier Arts Council, 630 Barksdale Blvd., Bossier City. Visit www.bossierarts.org. SEPT. 13: BIZ ART – CELIA CARR. This free, family-oriented event featuring a new, local artist each month. Opening reception from 5-7 p.m. Hayter Reynolds, 9045 Ellerbe Road, Ste. 103, Shreveport. Call 698-3000. AGAVE: No cover. Happy hour Friday and Saturday, 5 to 7 p.m. 2-for-1 well, wine & draft. Professor Pork Chop & the Dirty Dishes, 8 p.m. to midnight, Sept. 14, 15; Dusty Rose Band, 8 p.m. to midnight, Sept. 21, 22; Ambush, 8 p.m. to midnight, Sept. 28, 29; What the Funk, 8 p.m. Oct. 26. Diamond Jacks Casino & Resort, 711 DiamondJacks Blvd., Bossier City. 678-7777. AMERICAN LEGION #14: Karaoke with Jay Couger, 6 p.m. every Tuesday; Karaoke with Dickie T, 6 p.m., every Sunday; Red Chute Revue Band, Sept. 14; Back Beat Boogie Band, Sept. 21; Flashback, Sept. 28. 5315 Lakeshore Drive, Shreveport. 635-8186. GREAT RAFT BREWING: Open every Wednesday through Friday from 4 to 9 p.m. and Saturday from noon to 9 p.m. Free tours are available at 1 p.m., 2 p.m. and 3 p.m.
on Saturdays. 1251 Dalzell, Shreveport. Call 734-9881. NICKY’S MEXICAN RESTAURANT: Wayne’s FM Karaoke, 6:30-10 p.m., Thursdays; Spinoff, 6:30 p.m. Sept. 14. 7960 E. Texas St., Bossier City. 841-1345. SAM'S TAVERN: 5-Star Karaoke Plus every Friday and Saturday starting at 7-11 p.m. Located at 3816 E. Texas Street in Bossier City. 318-658- 9804. THE STAGE AT SILVER STAR: Live entertainment. Gates open at 7 p.m. unless stated otherwise. Aaron Watson with Randall King, Sept. 14; aA MIDSUMMER Whiskey Myers with Bishop Gun, Oct. 12. 1201 Dixie Overland Road, Bossier City. 752-3633. Tickets available at www.outhousetickets.com. ST. CHARLES TAVERN. 5 Star Karaoke Plus featuring Ed Williams, 8 p.m. to midnight every Thursday; 5 Star Karaoke Plus hosted by Megan, 9 p.m. to 1 a.m. every Saturday. 2706 Barksdale Blvd., Bossier City. 318- 210-7434. TIKI BAR: 639 E. Kings Highway, Shreveport. 868-6355. SEPT. 21: MUSIC OF THE NIGHT. A fund-raiser for Shreveport Opera Xpress educational outreach program where SOX performers will serenade guests with some of the greatest musical theatre and operative favorites of all time. $85. 6:30 p.m. East Ridge Country Club, 1000 Stewart Drive, Shreveport. Visit www.shreveportopera.org. SEPT. 22: HERITAGE & HARVEST TOUR. The Red River Crossroads Historical & Cultural Association hosts a driving tour of homes on Highway 3049. $10. 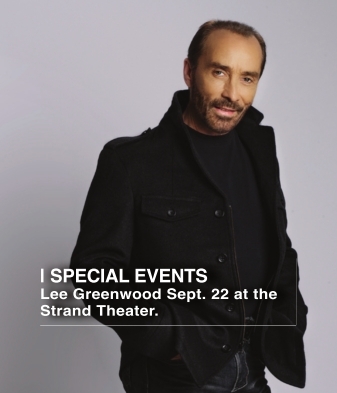 10 a.m. to 4 p.m.
SEPT. 22: LEE GREENWOOD. Iconic country musician with more than 30 albums to his credit. $25, student; $35; $45; $55. 8 p.m. The Strand Theatre, 619 Louisiana Ave., Shreveport. Visit www.thestrandtheatre.com. OCT. 6: THE TEMPTATIONS. Tickets on sale now for the greatest vocal group of Motown Records’ golden era empire. $30. 8 p.m. Paradise Theatre, Margaritaville Resort Casino, 777 Margaritaville Way, Bossier City. Visit www.ticketmaster.com. 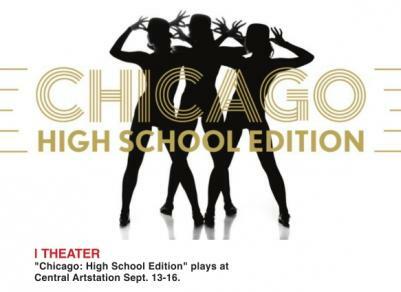 SEPT. 13-16: CHICAGO: HIGH SCHOOL EDITION. An all-new student adaption of the most successful American musical of all-time. $18, seniors and adults; $15 students. 7 p.m., Sept. 13-15; 2 p.m., Sept. 15-16. Central Artstation, 801 Crockett St., Shreveport. Call 218-9978. SEPT. 13-16, 21-23: CASH ON DELIVERY! Fast-paced British farce full of mistaken identities, slamming doors and a con that spirals out of control. 7:30 p.m.; 2 p.m., Sunday. Shreveport Little Theatre, 812 Margaret Place, Shreveport. Visit www.shreveportlittletheatre.com. 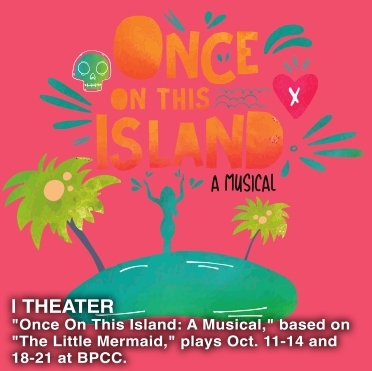 OCT. 11-14, 18-21: ONCE ON THIS ISLAND. A musical based on the retellings of Hans Christian Andersen’s “The Little Mermaid” presented by the Cavalier Players. For teenage and older audiences. 7:30 p.m.; 2 p.m., Sunday performances. Season memberships are on sale now. Bossier Parish Community College, 6220 East Texas St., Bossier City. Call 678-6525. SEPT. 1-JAN. 13: THE PELICAN STATE GOES TO WAR: LOUISIANA IN WWII. A historical exhibition from the National World War II Museum in New Orleans. R.W. Norton Art Gallery, 4747 Creswell Ave., Shreveport. Visit www.rwnaf.org. SEPT 12-13: PORTRAIT WORKSHOP. 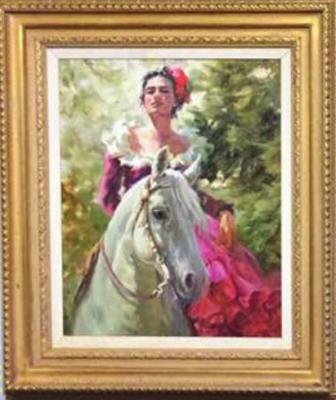 Featuring Rose Ann Holomon on her knowledge on drawing and painting portraits. Limited seating. 9 a.m. to 3 p.m. Public Works Building, 3223 Old Shed Road, Bossier City. E-mail skkoval@att.net or maleby613@comcast.net. SEPT. 13-16: NORTHWEST LOUISIANA ST. JUDE CLASSIC. The tournament includes meals, beer, goodie bag, silent auction, raffle and more. Three matches guaranteed for all players. Registration and Calcutta kick things off Sept. 13, and play begins Sept. 14. Southern Trace Country Club, 200 Southern Trace Pkwy., Shreveport. 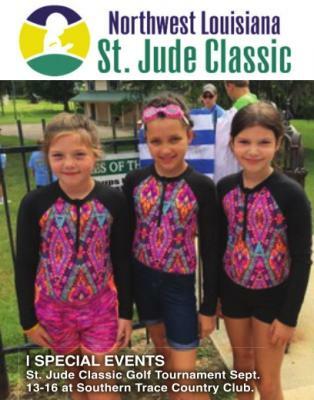 Visit www.StJudeClassic.info or call 458-2511. 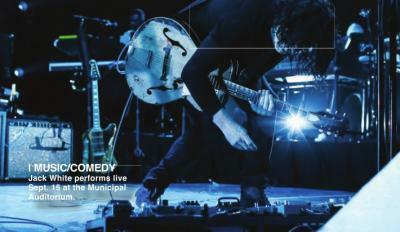 SEPT. 15: HIGHLAND JAZZ AND BLUES FESTIVAL. The 15th annual festival features performers such as Buddy Flett, Easy Money, Twang Darkly, Tipsey the Band, Dur-Di Rice, Josh Love, the Seratones and Flow Tribe and many others. Food and drink options in abundance. Free. 11 a.m.-6 p.m. Columbia Park, 600 Columbia Street in Shreveport. SEPT. 21: CIRQUE DU LAKE STREET FESTIVAL: Family-friendly festival with live music, vendor booths, unique food and drink options, street performers that mimic the essence of a French market. 5-9 p.m. 400 block of Lake Street, Shreveport. Email info@cirquedulake.com. SEPT. 22: TRACTOR SUPPLY’S FALL FARMERS' MARKET. With local vendors from produce, craters and artisans. Tractor Supply, 9620 Mansfield Road., Shreveport. Vendors can visit www.TSCEventPartners.com. SEPT. 22: YOGIE AND FRIENDS FALL BAKE SALE. Proceeds are for Yogie and Friends FIV and Cat Sanctuary. 11 a.m. to 3 p.m. Petco, 6596 Youree Drive, Shreveport. Visit www.yogieandfriends.org. SEPT. 25: SHREVEPORT-BOSSIER AFRICAN- AMERICAN CHAMBER OF COMMERCE GOLF TOURNAMENT. 18-hole, four-man scramble. Lunch provided. $100, individual; $400, team. Registration at 10:30 a.m.; shotgun start at noon. Entry deadline is Sept. 11. Crooked Hollow Golf Course, 8667 Elysian Fields Road, Greenwood Road, La. Call 220-9098. SEPT 29: SUPER SAFETY SATURDAY. This event combines family fun with educational activities in five Safety Pit Stop areas: Car Seat Safety Check, Touch a Truck, Health & Safety Fair, Family Fun Zone and Sheriff’s Safety Town. Free. 9 a.m. to noon. Sheriff’s Safety Town, 8910 Jewella Ave., Shreveport. Visit www.jlsb.org/super-safetysaturday/. SEPT. 29: 13TH ANNUAL BUNCO BASH AND SILENT AUCTION. Bunco players will roll the dice for top prizes at this annual event with a buffet dinner and silent auction. $45 through Sept. 28 then $50. 6 p.m. Eldorado Resort Casino, 451 Clyde Fant Pkwy., Shreveport. Call 222-1414. OCT. 5-7: OUTLIER AT GRACE: FAITH, FAULT & FREEDOM. A transformational and educational weekend featuring Mollie Corbett and The Outlier Foundation’s Outlier exhibit, documentary film series, an artist talk and panel discussion, and #metoo readings. Grace Community United Methodist Church, 9400 Ellerbe Road, Shreveport. Visit www.outlierstories.com. OCT. 6: BLACK & WHITE BALL. Dinner and dance with Steve Wells Band. $40, students; $60 adults. 7-10:30 p.m. El Karubah Shrine, 6230 S Lakeshore Drive, Shreveport. Call 797-1975. OCT. 6: MIRACLE TOUR. Miracle Tour offers 64-, 42-, 28- and 14-mile bicycling routes and a five-mile family fun ride to raise funds for the 17 signature Children’s Miracle Network Hospital programs at CHRISTUS Shreveport- Bossier Health System. 7 a.m. registration; 8 a.m. start time. Haughton High School, 210 E. McKinley Ave., Haughton. Visit www.miracletour.org. OCT. 11: FASHION NIGHT OUT! Two fashion events honoring retail icon Knox Goodman. Professional models by the Michael Turney Agency will share the latest looks and will include surprise celebrity models. $85 for main floor, $75 for balcony. 11:30 a.m., luncheon; 6-9 p.m., evening show and cocktails. Scottish Rite Cathedral, 755 Cotton St. 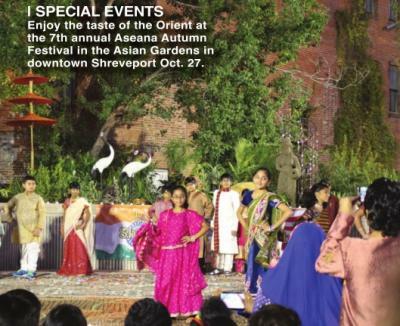 Call 221-2628 or visit eventbright.com. OCT. 23: PARTNERS IN PREVENTION. The annual Gingerbread fund-raiser luncheon featuring keynote speaker, abuse victim and author Dave Pelzer. $125. Noon. Horseshoe Casino & Hotel, 711 Horseshoe Blvd., Bossier City. Visit www.gingerbreadhouseac.org. DIAMONDJACKS CASINO & RESORT: 711 Diamondjacks Blvd., Bossier City. 678-7777.See Rewards Club for details. Restrictions apply. New Member. Receive up to a $100 refund in the mail. Mail offer based on play. Happy Birthday. Come in on your birthday, swipe your Rewards Club card and receive a present from us. September Promotions. $75K Tackles & Touchdowns is now through Sept. 29. Win a share of $75K in slot play, TVs and game tickets! Drawings from 7-11 p.m. every Friday and Saturday. 10X Entries Mondays are Sept. 10-24. Weekly drawing/earning periods. Big Catch Swipe and Win is from noon to 6 p.m. every Tuesday. Win gifts, slot play, cash, points and more!Enroll at Kiosk with 10 slot points. Limited to two swipes per day. Entry Multiplier is Sept. 19. Chairman 5X entries, Platinum 4X entries, Gold 2X entries. Enroll at Kiosk. September Gift Giveaway is Sept. 26. Receive a gift with 10 slot points! 50+ Diamond Club is every Thursday. 10X Points is from 5-7 p.m. every Friday. Earn more cash back at the machine. Multiplier caps at 200 points. Your email could be worth $100! Submit your email to the Rewards Club for a chance to win a share of $500! LEGENDS BUFFET SPECIALS: Salute to our troops. 25% off every day at Legends Buffet. Must have military I.D. to receive discount. Not valid on holidays. Cannot be combined with any other offer. Seafood Buffet is Friday, $24.99 with Rewards Card. Prime rib and shrimp buffet, $24.99 Saturday nights with Rewards Card. HARRAH’S LOUISIANA DOWNS: 8000 E. Texas St., Bossier City. 742-5555. Must be 21 years of age or older to participate. Daily Racing Promotions. The 2018 Live Racing schedule runs Saturday, Monday, Tuesday and Wednesday, daily post time 3:15 p.m. Race reward Credit Multiplier. On Saturdays, make your wager with your Total Rewards Card to receive your Reward Credit multiplier.